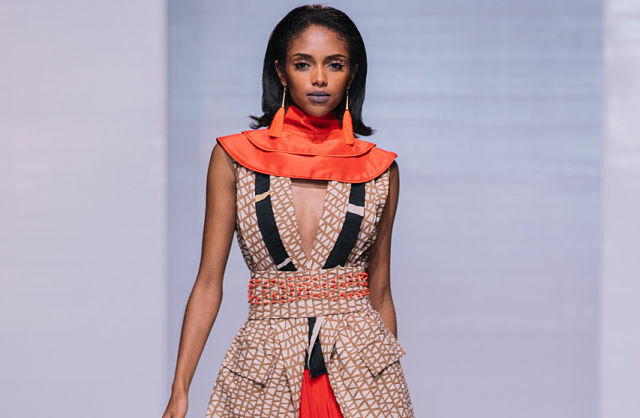 New York (TADIAS) – The 2017 Hub of Africa Addis Fashion Week recently wrapped up in Ethiopia’s capital displaying an eclectic collection of styles from twenty one designers representing seven African countries and models from five nations. The featured designers included: Mafi (Ethiopia), Yordi (Ethiopia), Adama Paris (Senegal), Anayngo Mpinga (Kenya), Samra Luxury Leather Collection (Ethiopia), Ejig Tibeb (Ethiopia), Ratatouille (Ethiopia/Brazil), Russell Solomon (Nigeria), House of Eden (Ethiopia/USA), Ye’Fiker (Ethiopia), Ayni’s Design (Ethiopia), Mantsho (South Africa), Lali (Ethiopia), Mustafa Hassannil (Tanzania), Zaaf (Ethiopia), Arnold Murithi (Kenya), Tg’sh (Ethiopia), Fetel Design (Ethiopia), Yohannes Sisters Couture (Ethiopia). The two-day runway show was held on Friday, October 6th and Saturday 7th, 2017.